& Juliet – What if The Bard's Juliet didn't die after all? Juliet Capulet is the famous female star of William Shakespeare's romantic play Romeo and Juliet, the cherished only daughter of the wealthy House of Capulet. When she falls head over heels in love with Romeo Montague love blossoms, closely followed by tragedy. In a story that's older than Shakespeare, the city's latest new Jukebox Musical teases us with hints of The Bard's Romeo and Juliet blended with Leonard Bernstein’s marvellous West Side Story. Apparently Miriam-Teak Lee from the original London cast of Hamilton will star as Juliet herself, and the show premieres at the Manchester Opera House in autumn 2019. Then it's set to transfer to the Shaftesbury Theatre, another whopper of a venue, from early November 2019. Both venues are larger than average, something that has the whole of theatreland gossiping. Two enormous venues booked for a brand new production? It's an unusually confident move for a brand new musical, and it suggests something special is going on. So... right now we have an unknown musical about a subject that has been covered at least twice before. The composer is a mystery. So what's the big secret? We'd love to tell you but, like everyone else, we have no idea what's going on... yet! What's the story? It looks like the show explores what might have happened if Juliet didn't die at the end of Shakespeare’s famous play. The plot follows her when she travels to Paris, accompanied by her besties as they all do their best to recover from the death of Romeo, her soul mate. But is it Paris, as in the city, or does Juliet flee to Romeo’s love rival, Count Paris? It's another mystery we're keen to solve. Rumour has it the play is packed with show tunes written by Max Martin, the man who has penned a string of well-known chart hits including Baby One More Time, Love Me Like You Do, and I Can't Feel My Face. He has written massive hits for people like Taylor Swift, Westlife, Britney Spears and more, so there are no worries there, and the songs are all freshly orchestrated by Bill Sherman. A strong creative team sits behind the mystery, including Luke Sheppard who directs, David West Read who wrote the story, fab choreography by Jennifer Weber, lighting by Howard Hudson, sound design by Gareth Owen, costume design by Paloma Young and last but far from least, set design by Soutra Gilmour. It might be a mystery right now. But it comes with excellent credentials. Come back soon to see if there's any more insight to be had. We don't have the details yet but imagine this new Jukebox musical will probably best suit teens and upwards. 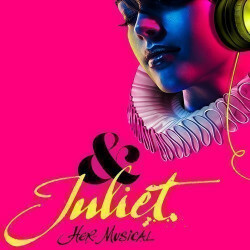 We have a great selection of cheap & Juliet tickets. 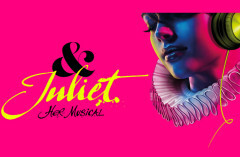 We can help you save up to 70% on & Juliet tickets! 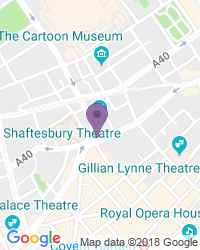 If you're looking for discount theatre tickets have a look below for our latest offers for & Juliet at the Shaftesbury Theatre. Valid on all performances from 2-19 Nov 2019.. .
Use the search box at the top left of this page to search for & Juliet tickets availability.